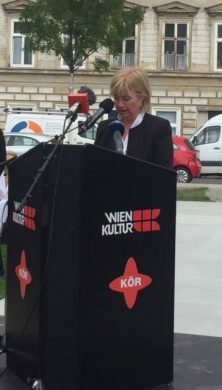 In the words of Herbert Schrott, the Aspang train station memorial at Leon-Zelman-Park in Vienna “should remind us of a time without mercy.” Schrott is a contemporary witness and one of a total 47,035 Austrian Jews who were deported to the Nazi concentration camps from Aspang train station. 1,073 of them survived. 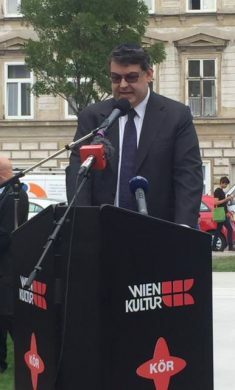 Holocaust survivor Leo Luster (see placard) requested this memorial on the occasion of a commemoration ceremony in November 1998 organized by the Jewish Welcome Service under the direction of Leon Zelman (see placard). It took nearly 20 years to implement the project. 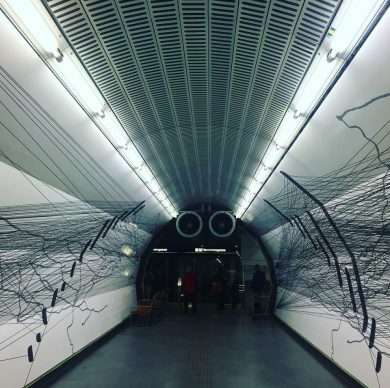 The Herminengasse memorial at the Schottenring subway station’s northern exit was designed by artist and musician Michaela Melián . 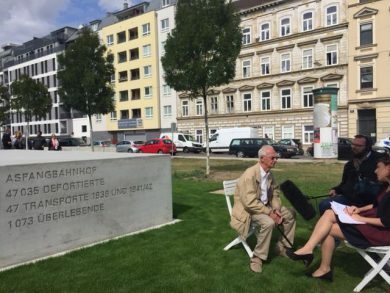 It commemorates the 1,322 Jews who lived in Herminengasse from 1938 to 1945 or were quartered there before thy were ultimately deported by the Nazis. 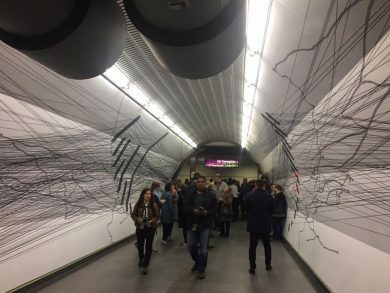 Melián traces individual fates in lines using murals by drawing lines from the residential houses in Herminengasse to the concentration camps. 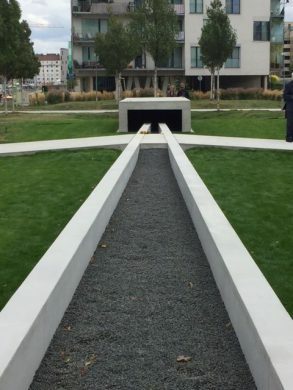 The publication about the Herminengasse memorial “HERMINENGASSE. 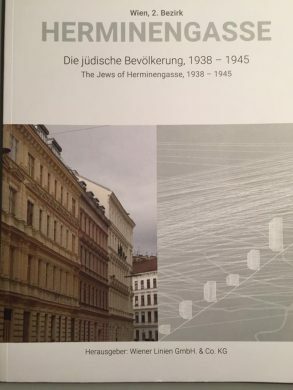 Die jüdische Bevölkerung (The Jewish Population) 1938 – 1945” by Tina Walzer (Ger./Engl.) 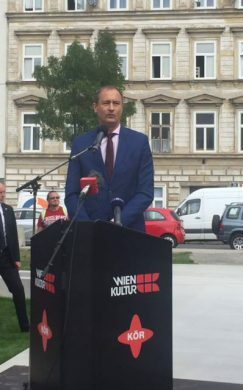 is available for free at all ticket and information booths on the Vienna lines.